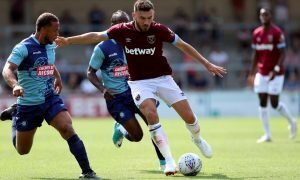 West Ham lining-up deal for Turkish striker in January | The Transfer Tavern | Where football transfer rumours fly or die! Premier League outfit West Ham United have probably surpassed all expectations for this season already with their sixth placed position in the league table. Certainly, their fans in the Transfer Tavern have been regularly enjoying the two-for-one cocktails on offer after a series of impressive victories over Arsenal, Chelsea and Manchester City already this season. Under new boss Slaven Bilic, the club has been reformed and are now playing an attractive brand of football which has been easy on the eye. The Croatian manager doesn’t look as though he is set to rest on his laurels and a report via talkSPORT suggest that he could be about to make a move for a striker in the January transfer window. The report suggests that Bilic will return to the Turkish Premier League and try and tempt striker Burak Yilmaz into a move to the Hammers. The Londoners reportedly had a bid of £3.5 million rejected in the summer, but with the player’s contract coming to an end next summer, the club could now be willing to do a deal rather than risk losing him for free. West Ham fans… Would you welcome Yilmaz? 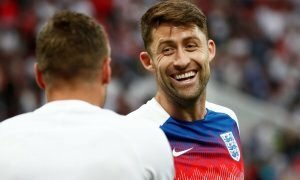 Does the club need a striker? Who would you like to see come in?